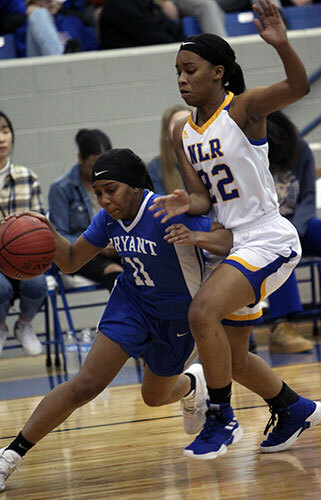 NORTH LITTLE ROCK — The Bryant Lady Hornets were aggressive, attacking the basket in the early stages of their 6A-Central Conference battle against the North Little Rock Lady Charging Wildcats on Tuesday night. But North Little Rock’s 6-4 freshman Amuari Williams was there when the Lady Hornets reached the basket and she blocked three of those attempts. It was most frustrating, indicative, in fact, of the whole evening as Bryant suffered an 83-54 loss, the worst of the season for the Lady Hornets, who dropped to 12-5 overall and 3-3 in league play. 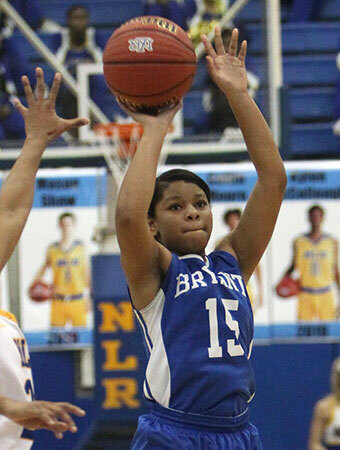 The Lady Charging Wildcats scored the game’s first 13 points before Bryant’s Kalia Walker hit a free throw. Her teammate India Atkins followed with a steal and a pair of free throws to make it 13-3. But North Little Rock went on to score the next 7 points to make it 20-3 early in the second quarter. Bryant’s first field goal came with 6:32 left in the second quarter. Allison Steen knocked down a 12-foot jumper. Tierra Trotter followed by nailing a driving jumper to make it 20-7. But North Little Rock’s De’Myla Brown popped her second 3 of the quarter and third of the half. That sparked the Lady Charging Wildcats’ 20-7 blitz to close out the half. 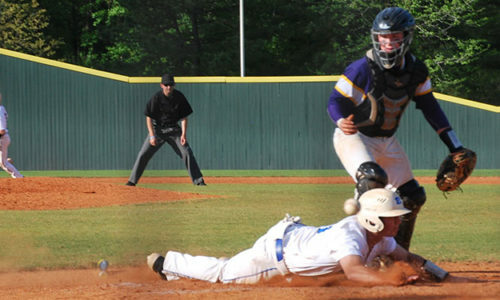 “We can’t go on the road and not get back on defense,” said Bryant head coach Brad Matthews. “We knew the big one (Williams) would cause us some problems trying to get around the rim. I think she had three blocks early and altered some other ones. Those are like turnovers, live-ball turnovers, and they’re out in transition. They did a really good job running and we just didn’t do a very good job answering their transition. We preach it and teach it but, obviously, not enough. “We allowed them to get some easy baskets early and I think that got them in a rhythm,” he continued. “They’re just too talented to allow them to get a lot of easy baskets. Trailing 40-14, the Lady Hornets traded the Lady Cats basket for basket to start the third quarter. Bryant got back-to-back buckets from Atkins and Trotter to cut it to 46-22. But North Little Rock scored the next 8 points to push the lead to 54-22. North Little Rock head coach Daryl Fimple pulled his starters late in the third quarter, with a 57-25 advantage. 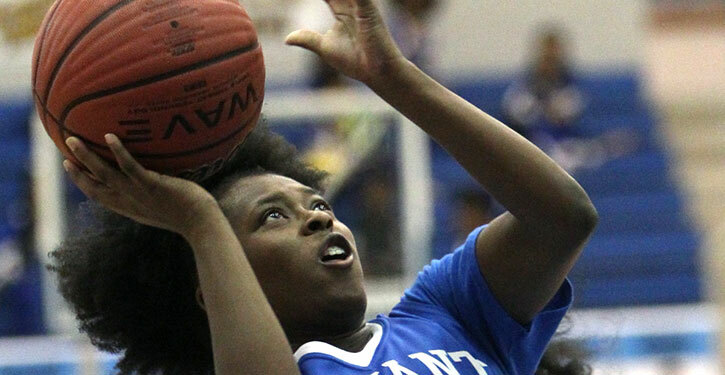 But the Lady Hornets kept after it and went on a 15-0 run, trimming the lead to 17. Trotter started that surge with a free throw then Atkins swiped the ball and added a free throw. Ivory Russ drove for a basket then Steen made a steal to go with her 13 rebounds and four blocked shots. Walker scored to make it 57-31 going into the final period. Lexie Taylor drove for a bucket to start the final period. Walker followed with a 3. Trotter hit a layup then when Walker scored again, the margin was down to 57-40. Closer than they had been but not as close as they needed to be. Despite the still-strong lead, Fimple brought his starters back onto the court and finished off the victory with the Lady Hornets battling down to the final buzzer. “We kept fighting in the second half and competed much harder, got a lot of offensive rebounds, a lot more loose-balls,” Matthews said. “There is that. “But to be able to beat a good team, we’ve got to be able to limit transition baskets and execute better on offense,” he concluded. 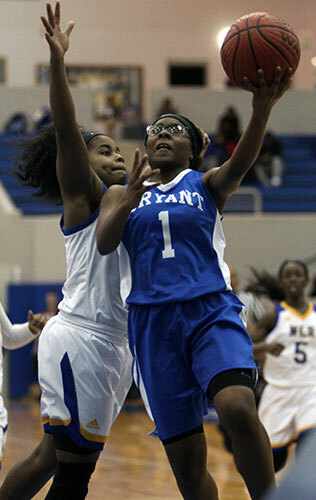 Bryant limited Williams to just 8 points, but she hauled down 16 boards. Brown led the way with 25 points. Three Lady Hornets scored in double figures led by Walker off the bench with 15. Atkins added 13 and Trotter 12. Steen had 6 to go with her 13 rebounds. 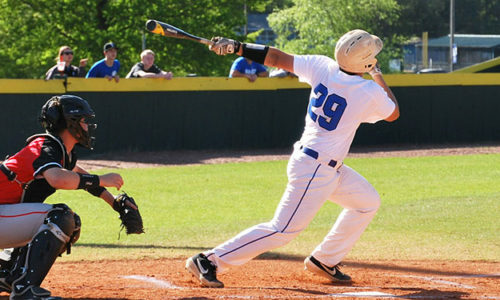 The final score was the largest lead for North Little Rock. 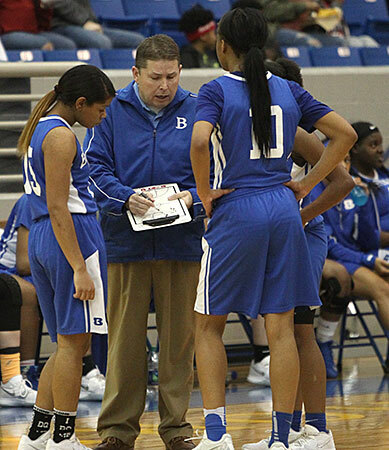 The Lady Hornets dropped to 12-5 overall and 3-3 in conference play. They’ll host a strong Conway team on Friday, wrapping up the first time through the league. Trotter 5-14 1-2 12, Atkins 3-16 5-7 13, Martin 0-4 0-0 0, Gordon 2-4 0-0 4, Muse 0-4 0-0 0, Walker 5-14 3-5 15, Steen 3-4 0-0 6, Russ 1-2 0-0 2, Taylor 1-2 0-0 2. Totals:19-54 (35%) 9-14 (65%) 54. Neal 1-4 4-4 6, Freeman 49 8-13 16, Brown 8-12 2-2 25, Tucker 5-15 0-0 11, Williams 2-4 4-7 8, Mackey 3-4 0-0 8, Foster 0-1 0-0 0, Duckworth 1-3 0-0 2, Backus 0-0 2-2 2, Carnegie 1-4 2-2 4, Fimple 1-2 0-0 3, Adebyo 0-1 0-0 0, Foster 0-0 0-0 0. Totals:26-59 (44%) 23-30 (77%) 83. Three-point field goals:Bryant 5-25 (Walker 2-8, Atkins 2-6, Trotter 1-6, Muse 0-3, Martin 0-1, Steen 0-1), North Little Rock 9-17 (Brown 5-7, Mackey 2-3, Tucker 1-4, Fimple 1-2, Freeman 0-1). Turnovers:Bryant 21, North Little Rock 13. Rebounds:Bryant 16-26 42 (Steen 2-11 13, Walker 0-6 6, Atkins 4-1 5, Gordon 3-2 5, Martin 2-2 4, Trotter 0-3 3, Muse 2-0 2, team 3-1 4), North Little Rock 12-31 43 (Williams 3-13 16, Carnegie 3-4 7, Tucker 2-3 5, Freeman 0-3 3, Brown 0-3 3, Duckworth 1-1 2, Adebyo 1-1 2, Neal 0-1 1, Mackey 1-0 1, Backus 0-1 1, team 1-1 2). Team fouls:Bryant 18, North Little Rock 13. Fouled out:Bryant, Gordon.